Here you will find the best ECN Forex Brokers according to clients' feedbacks. 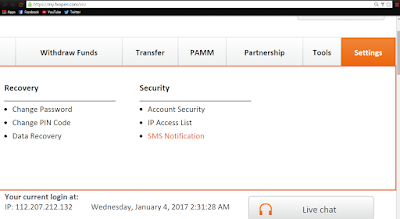 Only the genuine ECN brokers are listed here so you can focus on trading without worrying about your broker being a true ECN or not. IC Markets is a "True ECN Broker" based in Australia and is one of the best brokers out there. This company was founded in 2007 and is currently being regulated by the Australian Securities and Investments Commission (ASIC). Their Headquarters is located at Level 6, 309 Kent Street, Sydney. IC Markets is one of the few brokers who disclose their liquidity providers. This leads to more trust from the clients since they will know who they're trading with. You can easily find all of their liquidity providers on their homepage. They also don't offer deposit bonuses, typical of a true ECN Broker. Global Prime FX is an Australian based broker located in Sydney and is being monitored by the Australian Securities and Investments Commission (ASIC). This broker boasts of it's transparency, top tier customer support, and Prime Broker relationship. Unlike many other retail brokers, Global Prime does not offer deposit bonuses and extremely high leverages. Deposit bonuses has strings attached to it while very high leverage, on a historical basis, leads to blowing accounts much faster instead of making gains faster. Global Prime is one of the rare forex brokers who provides trade receipts to its clients. This receipt shows which liquidity provider filled the clients' orders so they would know who took the opposite side of their trade. This transparency of Global Prime is what makes them one of the best forex brokers. 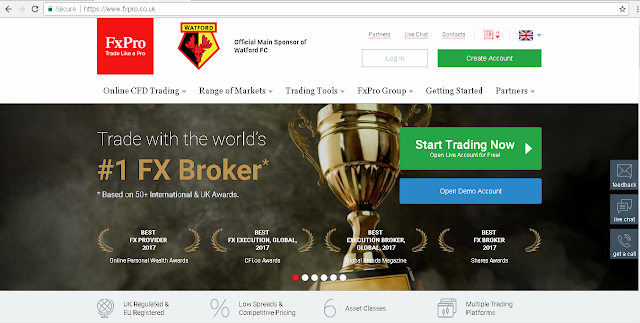 FxPro is a UK based Forex Broker located in 13/14 Basinghall Street, London and regulated by the Financial Conduct Authority (FCA). This company was founded in 2006 and is one of the oldest forex brokers. FxPro received the "Best Forex Broker of 2017" award by the Global Brands Magazine, CFI, and the Shares Awards. FxPro does not charge commission but instead they add it to the spread. The cost is just the same when compared with other brokers. 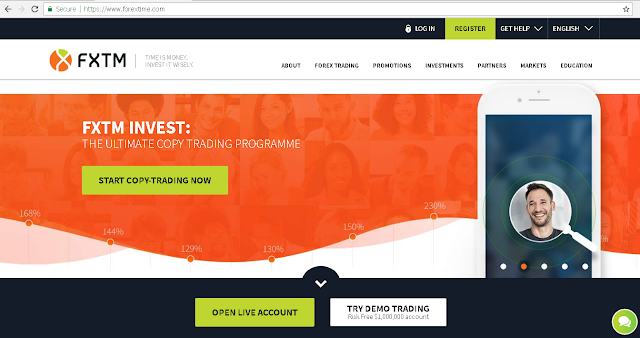 ForexTime is a Cyprus based ECN forex broker founded in 2011. They are licensed and regulated by several regulatory authorities which are the Cyprus Securities and Exchange Commission (CySec), Financial Conduct Authority of UK (FCA), and the International Financial Services Commission of Belize. ForexTime has been awarded the "Best Forex Broker in Asia for 2017 by World Finance and the "Most Innovative Broker for 2018 by FX Empire. FXopen is being monitored by two regulatory bodies which are the Australian Securities and Investments Commission (ASIC) and Financial Conduct Authority (FCA). FXopen offered brokerage services in 2005 and is now one of the leading forex brokers. They also disclose their liquidity providers on their homepage which proves that they are also a true ECN broker. Trading with an ECN Forex Broker is much better compared to Market Maker Brokers because there is a clear conflict of interest when trading with a MM broker, your profit is their loss, and your loss is their profit. Whereas when you trade with an ECN broker, your orders are sent to their big liquidity providers like Citi, JP Morgan, Deutsche Bank, Goldman Sachs, Bank of America, HSBC and etc., which results to much tighter spreads due to the strong competition. ECN brokers simply charge a commission for each trade conducted by the clients and they don't take the opposite side of the trades. Therefore, ECN brokers doesn't have market exposure and thus, they don't have to worry if their clients make profitable trades since it's not them that fills the clients' orders. This broker uses 5 decimal accurate pricing on EUR/USD and 3 decimals on USD/JPY, an indication that it is a true ECN broker. 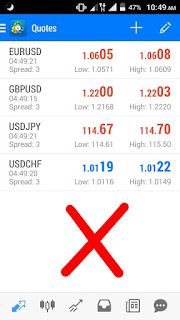 This one does not use accurate decimal pricing, it only has 4 decimals on EUR/USD while 2 decimals only on USD/JPY, an indication that it is not an ECN broker. This broker has minimum stop loss or take profit of 7 pips for GBP/JPY pair which is an indication that it is not a true ECN broker. - No conflict of interest as ECN Brokers doesn't take the opposite side of your trades but instead sends it to their liquidity providers or matches it with other clients. - Tighter spreads due to strong competition from several liquidity providers. - Prices are much more volatile which is good for scalpers. An ECN Broker is also an STP (Straight Through Processing) and NDD (No Dealing Desk) broker because your orders are executed automatically/electronically without the intervention of a middleman. Therefore, an ECN Broker is an STP, and NDD broker at the same time. Who are the participants in the Electronic Communications Network? There are several participants in the ECN market. They are the central banks, commercial banks, hedgers, and we, the retail forex traders. Central Banks - These government banks enter the forex market to stabilize their currencies whenever needed. They buy other currencies using their local currency to weaken their own currency when it's too strong/overvalued to keep their export products cheap, or they buyback their local currency from other countries when its too weak in order to control inflation in their country. Commercial Banks - These banks are the wholesalers in the forex market. They buy and sell hundreds of millions worth of currencies from each other and this is called the "Interbank Market". They also deal with large financial institutions like hedge funds, pension funds and insurance funds. Hedgers - These are companies that buy and sell currencies at the same time (hedging) to protect themselves from price fluctuations. For example if a U.S. company wants to import steel from Canada, it has to pay Canadian dollars. If the U.S. dollar weakens against the Canadian dollar before the payment is made, the U.S. company importing the steel will end up paying more than the initial agreement. That's why companies that buy products from other countries have to hedge in order to lock the currency exchange rate. Retail Forex Traders - These are the small time currency investors that speculate on the market. They bet whether the price of a particular currency will go up or down against another currency. The advantages of online forex trading. 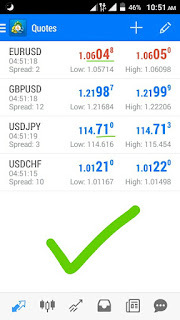 Lots and lots of people are getting interested in forex trading because of the good profits it can generate. It also requires smaller capital compared to stock trading, offers much higher leverage, and is tradable 24 hours, 5 days a week. If you are a regular employee and you're looking for a side income, then forex trading can be one of your options. Aiming for a realistic target gain of 2%-3% per month should be enough and is also achievable. But there are a lot of warnings that forex trading is too risky because of the high leverage, that's why every broker keeps telling you to only invest what you can afford to lose. So if you're just starting out, it's best to start with a small capital and trade using the smallest lot size. This way you won't lose a lot and will be able to stay longer in the market. How to become a profitable forex trader? Truth be told, you'll need to practice a lot in order to become a profitable trader. But there are things that you can do that will surely help you become a successful trader. First, download an economic calendar app if you haven't yet. This will help you get updated with what's happening in the financial world and will guide you in making your trading decisions. Second, choose long term trading instead of scalping or day trading. 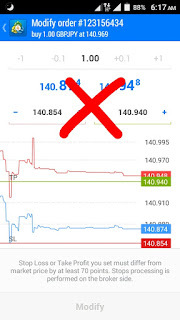 This way you won't have to check on your trades too often, will save you a lot of time, and is less stressful compared to scalping and day trading. Long term trading is having trades that lasts for a few days to several weeks depending on how good your entry price was. Lastly, connect with fellow traders in your country by searching for private Facebook groups or other online groups that focuses on forex trading. This will help a lot because you'll be exchanging trading ideas with the other members of the group. This is much better than sharing ideas with strangers in the forums, just make sure that you join a group that has strict rules, meaning that they kick out marketers and spammers in the group. 1. Download an economic calendar like MyFxbook app to get updated with the current events in the financial world. 2. Buy low and sell high on longer time frames like the weekly and monthly chart. Identify the supply and demand zones. 3. Always remember that the market will try to hit your Stop Loss. It preys on greedy retail investors, so just open a small lot so you can place a wider Stop Loss. 2. Don't trade forex to support your living expenses, treat it as an investment. 3. Don't risk what you can't afford to lose. Before you start trading, you should completely understand the risks involved with the currency market and trading leveraged products, and you should be aware of your level of experience. *This article is not directed to jurisdictions where retail forex trading is restricted. 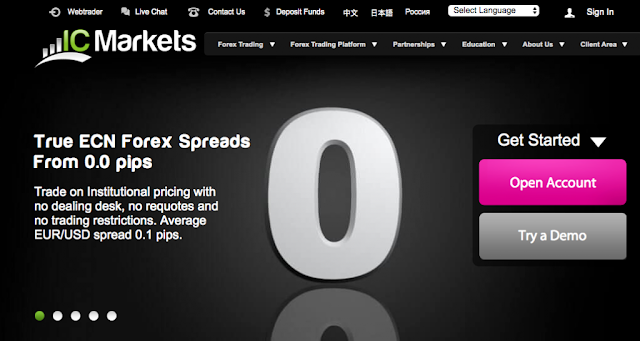 Here you will find the best Forex Brokers with the lowest spreads and with commission discounts. Tip: Other websites on search engine results that also have a list of the best ecn brokers does not offer commission discounts unlike here. So take advantage of the discounts offered here as it willl save you a lot of money especially if you trade very often. Global Prime FX is an Australian based broker located in Sydney and is currently being monitored by the Australian Securities and Investments Commission (ASIC). This broker boasts of it's transparency, top tier customer support, and Prime Broker relationship. Register on Global Prime using the promo link below and get a 22% ($1.50) commission discount so that you'll only get charged $5.50 per lot traded instead of the regular $7.00 per lot. IC Markets is also an Australian based Forex Brokers. This company was founded in 2007 and is currently being regulated by the Australian Securities and Investments Commission (ASIC). Their Headquarters is located in Level 6, 309 Kent Street, Sydney. FXopen is currently being monitored by two regulatory bodies which are the Australian Securities and Investments Commission (ASIC) and Financial Conduct Authority (FCA). FXopen offered brokerage services in 2005 and is now one of the leading forex brokers. 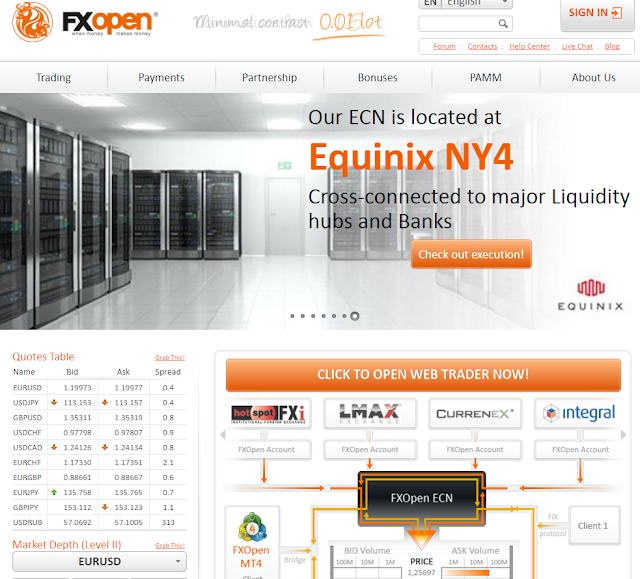 They also disclose their liquidity providers on their homepage which proves that they are also a true ECN broker. 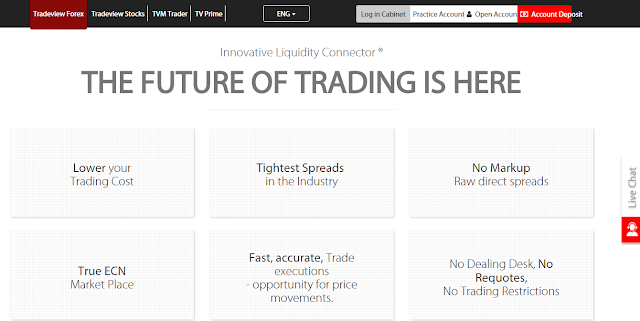 TradeView Forex is a true ecn broker with their liquidity providers being several big banks. This broker is based in Cayman Islands and is currently regulated by the Cayman Island Monetary Authority (CIMA). TradeView Forex provides a true ECN marketplace and has one of the tightest spreads and lowest commission brokers in the industry. 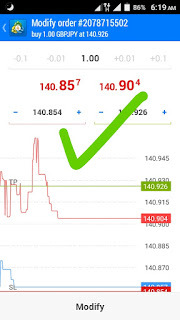 TradeView is also a good option for institutional clients through the "Liquidity Connector" account. With their outstanding experience and valued relationships with liquidity providers, TradeView offers unified institutional services to help institutional clients take their brokerage business to a higher level and achieve their business goals. Register on TradeView Forex using the promo link below and get a 22% ($1.50) commission discount so that you'll only get charged $5.50 per lot traded instead of the regular $7.00 per lot.